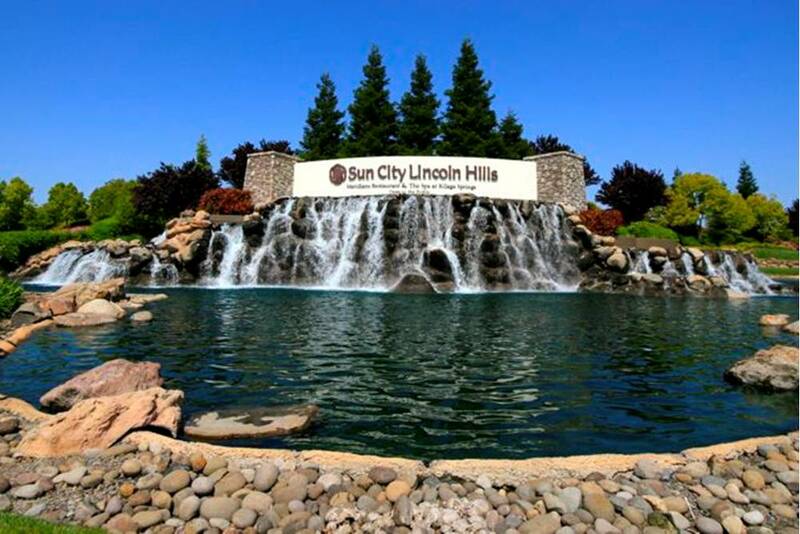 Sun City Lincoln Hills just outside Sacramento boasts world-class amenities and exciting social activities. As the capital of California, Sacramento is a popular destination for both visitors and active adult retirees. The city offers a wide range of urban attractions, as well as cultural and historical sites, outdoor recreations and sporting events. The Sacramento area also includes many impressive active adult communities, particularly in outlying towns like Lincoln, Roseville and El Dorado Hills. Sacramento is set in Northern California, about 90 minutes northeast of San Francisco and two hours southwest of Reno, Nevada. The city is set at the confluence of the Sacramento River and American River, and it is not far from the Sierra Nevada foothills. Scenery outside of Sacramento is quite beautiful, while the city itself features a lovely skyline with charming river views. The Sacramento area has a Mediterranean climate with hot summers and mild winters. Summer days are often in the high 80s or low 90s, but high temperatures have been known to climb well over 100 degrees. Winters are wet and mild, and days tend to be chilly with temperatures in the low to mid-50s. Snow is rare in Sacramento, but fog and rain are common during the colder winter months. The City of Sacramento has many distinct neighborhoods, as well as an extensive park system. Smaller parks are dotted throughout the city and residents can also enjoy larger park areas, such as the American River Parkway which spans 23 miles along the American River. Local and visiting golfers also love the public and private golf courses throughout the Sacramento area. A few notable courses include the Haggin Oaks Golf Complex, the Teal Bend Golf Course and the Ancil Hoffman Golf Course. Heritage Park is an exceptional 55+ community just five miles from downtown Sacramento. As a major urban center, Sacramento boasts many colleges, museums, galleries, performing arts centers and other cultural attractions. Well-known theater venues include the Sacramento Convention Center Complex and the Wells Fargo Pavilion. Entertainment is varied including music concerts, live theater, ballet, opera and much more. Annual events, like the Sacramento Shakespeare Festival or the Sacramento Jazz Jubilee, draw many locals and visitors as well. Like most cities, Sacramento has its own unique historic sites. Tower Bridge is a well-known landmark which is even more impressive when visited in person. First-time visitors will also love a memorable trip to popular destinations like Sutter's Fort, the Old Sacramento Historic District, the California State Capitol and the Folsom Powerhouse. They also can't miss the impressive Delta King riverboat. 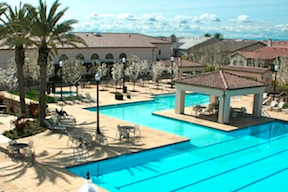 Active adults who decide to settle in the Sacramento area can choose from many fabulous, resort-style communities. There are large communities like Sun City Lincoln Hills and Sun City Roseville, as well as a variety of mid-sized communities including The Club at Westpark, Heritage Park and Four Seasons at Westshore. Those who prefer more intimate neighborhoods may also like some new communities like Destinations at Vineyard Point or Pinnacle at Blackstone. Whether planning a California vacation or looking for a West Coast retirement destination, the Sacramento area has much to offer active adult retirees.